Youth Programs — Grit. Determination. Balance. Welcome to our youth programs page! Take a look around, there are great options for youth aged 9 to 18. Manna's Pee-Wee program is an indoor rowing program for 4th and 5th graders. The emphasis is on having FUN while introducing them to a new sport and skill. Manna uses engaging technology, games, relays, and other team-building exercises. These tools keep this group focused, curious, and learning throughout each practice. Athletes will increase their mental and physical abilities. The program is great for children with attention issues or high energy. Our program is open and beneficial to everyone. 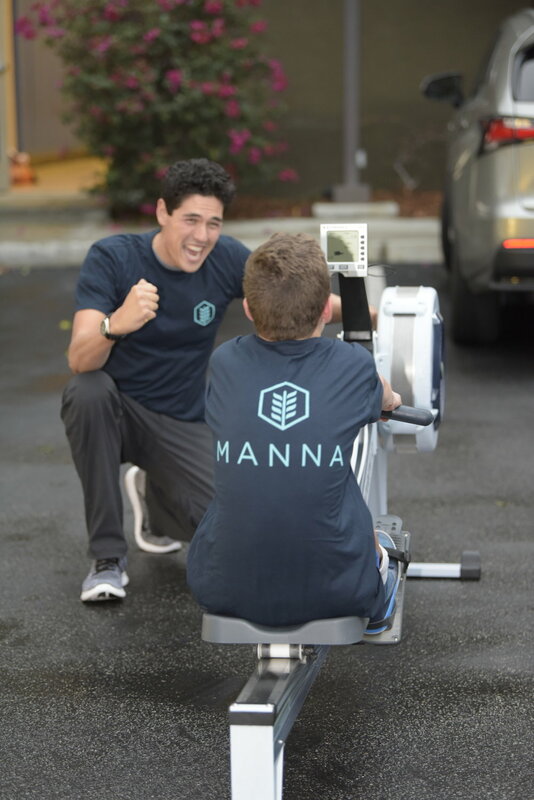 Manna Juniors is for multi-sport athletes and other youth who want to compete in rowing. Lots of children this age have not quite found their "sport" yet. This is a great opportunity to experience a new sport. With so many activities going on it is hard to find the time to commit to an on-water competition team. Our program helps solve this with efficient twice weekly practices. Groups of 10-15 athletes practice techniques such as catch, drive, and recovery. These are the same drills as competitive rowers. We offer 3 high school programs. Our high school club. Our elite college-prep program and our cross-training program for athletes from other sports. The programs take place in a small and unique team atmosphere. Manna’s high school indoor rowing program offers high-energy competitive training. Our seasoned staff conducts a tailored program. This builds a foundation to move forward in competitive rowing and functional fitness. There is a serious possibility for collegiate scholarships.